In many ways the history of Irish whiskey reflects the very soul of Ireland itself: tragic, principled, enduring, resurgent, and throughout it all, ebullient, and abundant in lyricism and warmth. The Irish story is bittersweet, having travelled a course of buoyant victories and bitter setbacks. It led the charge of whisky in the nineteenth century, but passed on the trend to blend, much to its commercial detriment. Scottish corporate interference then stunted the industry’s capacity to produce grain whiskey. One hindrance followed another. Independence and separation from the Empire deprived it of vast markets. The industry shunned bootleggers and then was insufficiently prepared for the revocation of Prohibition, leading to severe reversals in one of its most successful markets. Later post-war government policies further limited development, bringing the once flourishing industry to its knees, ravaged and barely hanging on with only 2 distilleries still operating. But hang on it did, and in the last 20 odd years it’s been progressively emerging from the darkness. There are now two new distilleries, independent and Irish-owned to boot. And then there’s Jameson, the leading Irish whiskey brand and spearhead of the recovery, today logging sales of over 3 million 9-litre cases annually…and still growing. 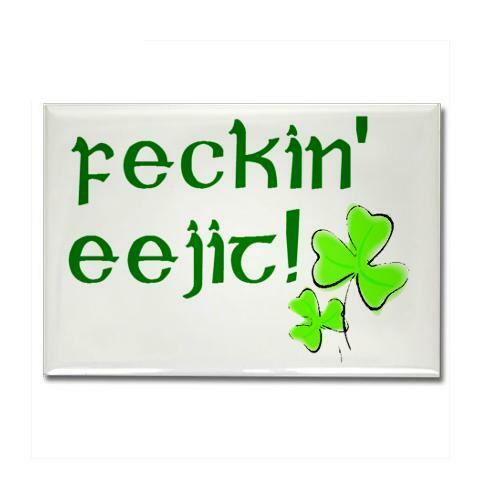 As the more perceptive amongst you may have gleaned from the title of this post, I’m a big a fan of Irish. So I couldn’t be happier about this turnaround. There’s still some way to go but I’m starting to believe that it’s on its way to reclaiming its rightful place in the whisky pantheon – which is important, not only because Ireland is the birthplace of whisky, but more so because Irish offers whisky lovers an astonishingly good, and meaningfully distinct style of whisky. The more it thrives the richer our whisky adventure becomes. What makes Irish Irish? As with Scotch any such analysis is general at best. The industry may be more limited than that of its celtic cousins, but its whiskeys are significantly diverse. Nonetheless, certain signature features have evolved over the centuries which on a broad level may be considered representative. Most people know about triple distillation. Whether this makes a whiskey “twice as smooth” is debatable, but it certainly does have an effect. The original strength – i.e. before reduction – is higher than a twice-distilled whisky and this will influence flavour. Furthermore the stills are notably and consistently larger than those of the Scotch industry. You’ve probably heard stories of distillers replacing old stills by putting dents in a new still to match those that were on the original: it’s not scientifically quantifiable but it’s accepted as fact that the size, shape, and surface area of a still impact flavour. They affect the “conversation” of the spirit with the copper. These are the subtle differences – more tangible is the difference in ingredients. Irish generally uses unpeated malt in its mashbills, whereas Scotch (very generally) uses peated malt. And whereas the single malt is the bastion of Scotch, the heart of Irish is the single pot still (previously known as the pure pot still), made from a mixture of malted and unmalted barley (and sometimes a sprinkle of oats). 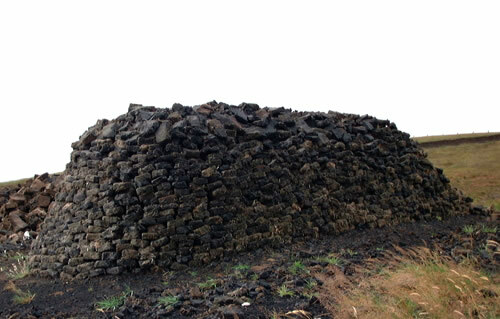 Peat. Lots in Ireland, little in Irish. Single pot stills are still scarce, although this is changing as the industry prospers again. 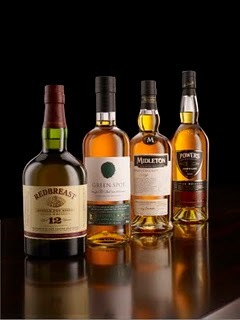 Until recently there were only 2 brands, Redbreast and Green Spot, available…but sparsely distributed. Two new brands – under the Midleton and Powers umbrellas – were introduced this year. These are all produced at Irish Distillers’ Midleton Distillery, however there are rumours that Cooley, the aforementioned independent distiller, is now also producing and laying down stocks of single pot still. Hooray! I’ve got to come clean. I’m trumpeting this news and singing the praises of Irish despite having never tasted a single pot still. This will imminently change. A bottle of Redbreast soon will be winging its way to me. Irish blends can be made with a combination of any or all of single pot stills, single malts, and grain whiskeys. The grain whiskey is usually lightly flavoured so as not to interfere with the “master” component. I’m very partial to brands such as Jameson, Tullamore Dew, and Powers, but recently, when biting down on my regular-ish Jameson, I’m left with the impression that it’s over-diluted. I like the flavour tremendously but I’m not getting enough of it. The more premium versions, like the Gold Reserve, which obviously have a greater proportion of single pot still (and also benefit from longer maturation), go some way to solving the problem, but I want more. I need to take my appreciation of Irish on a journey, and there can only be one destination – single pot still. So I’m as familiar with and as confident about this style of whiskey as it’s possible to be without actually having tasted it. I recently told a mate of mine who works for Diageo that Bushmills wasn’t a real Irish whiskey, because it doesn’t have a single pot still component. He was seriously unimpressed by this opinion. Admittedly I was being unfair, and exaggerating my point (I like to stir). The truest of Irish, the heart of its tradition, is the single pot still, but that should by no means exclude the other fine whiskeys produced on the island. To make up for this slight I’m going to follow-up on this post with a review of Black Bush, an unfortunately named (try an unfiltered image search on google), but superbly constituted whiskey. Until then may the dram be with you! This entry was posted in Uncategorized and tagged Black Bush, Bushmills, Jameson, Midleton, Powers, Whiskey, Whisky. Bookmark the permalink. While I have strayed away from Irish whiskey because of my Scottish, Japanese, and American whisk(e)y adventures, I have recently been working my way back to them thanks to Redbreast (12 and 15) and a recent sampling of the Powers 12 Gold Reserve. It’s easy to get sucked into the whole Single Malt and Bourbon thing and forget how good Irish whiskey can be. Thankfully, one of my Booze Dancing blogging buddies is a huge fan of the stuff and always keeps a couple bottles of Irish whiskey around for an impromptu tasting. I am convinced that Irish whiskey is a great gateway for those that are afraid to try whisk(e)y in general. A kinder, gentler, yet equally complex spirit for sure. Thanks G-LO. I think you’re right, Irish is more accessible than Scotch, probably because of the lack of smoke. We poor buggers here in the developing world on the tip of Africa have a somewhat limited supply, so I can only gasp in envy when you casually mention Redbreast (not only the 12 but the 15 as well…! ), and Powers 12. Sightings of the Cooley brands are even rarer. The deprivation is sometimes too much to bear. Kudos to your friend. Drink a dram on my behalf when you have your next tasting. PS: Have you tasted Inish Turk Beg? Irish matured in Poitin casks. Sounds really interesting. We shall have some Redbreast 15 in your honor. Tis a mighty whiskey! I have not heard of the Inish Turk Beg. Took a peek at their website. Looks like some interesting stuff. Love the packaging too! I’m guessing that it’s not yet available in the US. At least not in South Jersey. Will have to research this further. Awesome, thanks! Better vicariously than not at all.